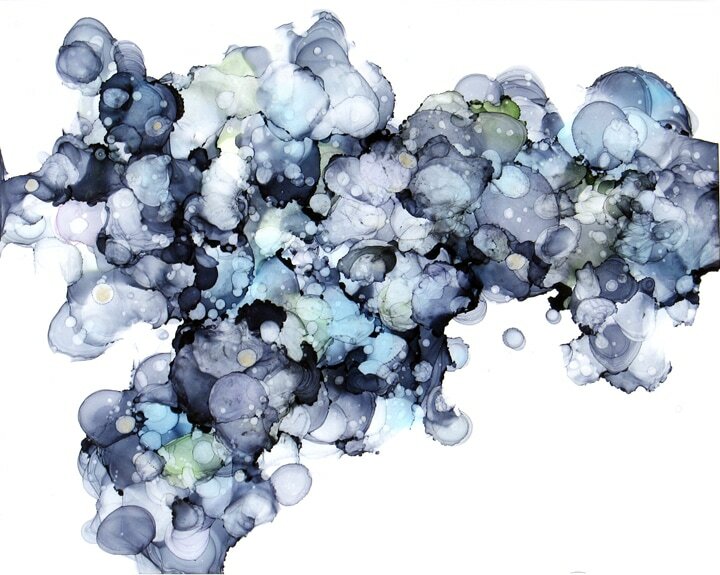 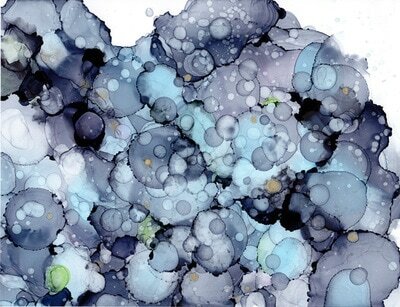 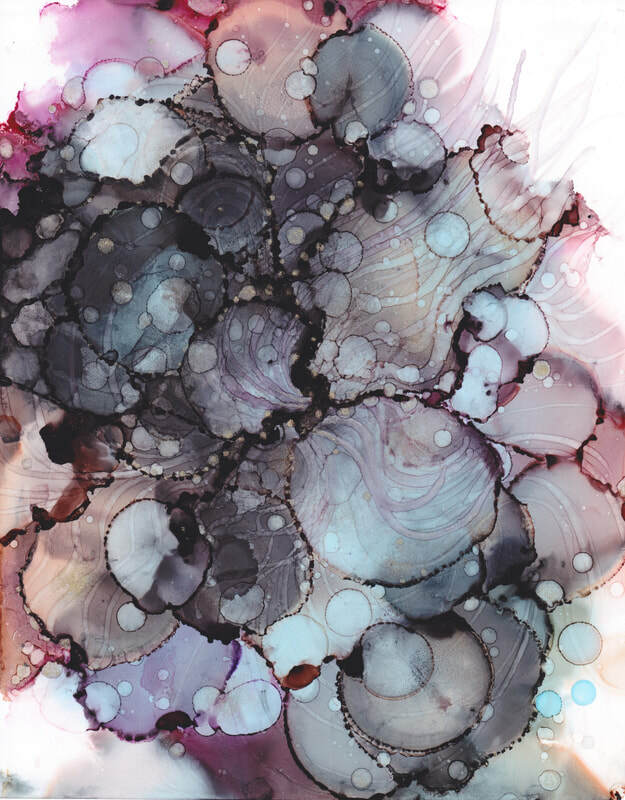 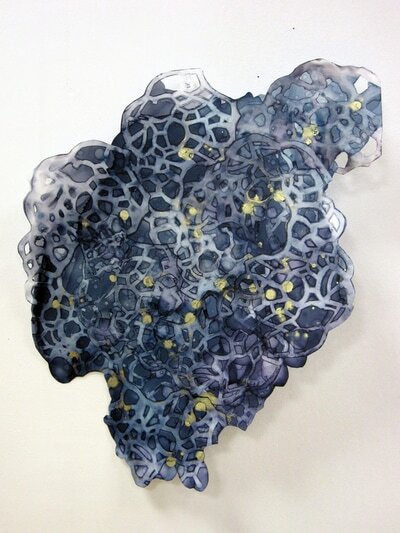 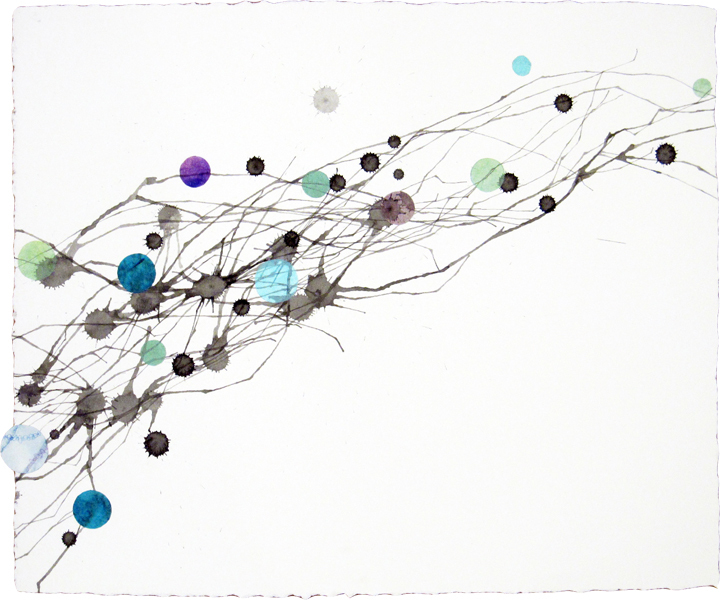 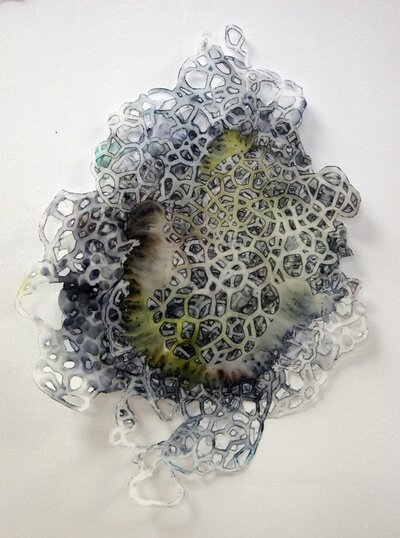 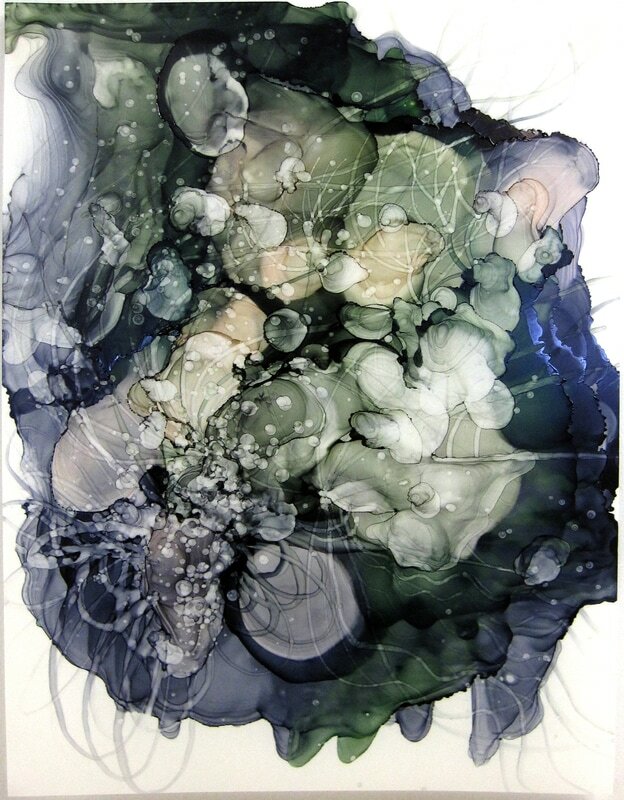 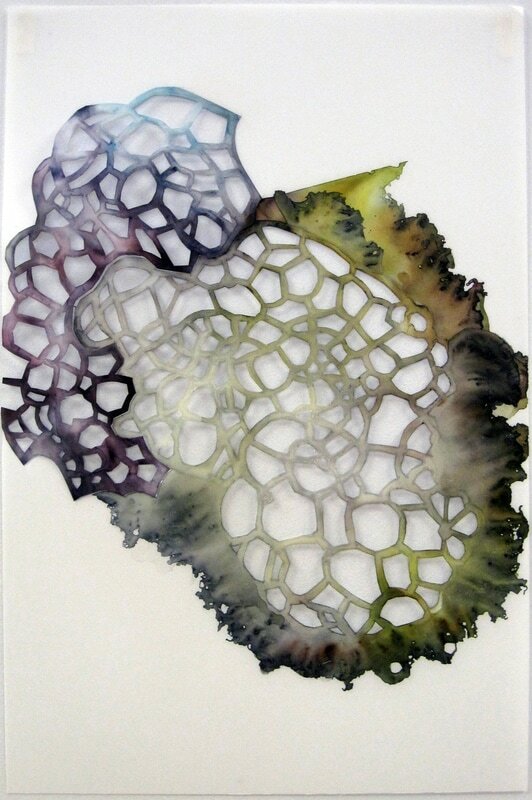 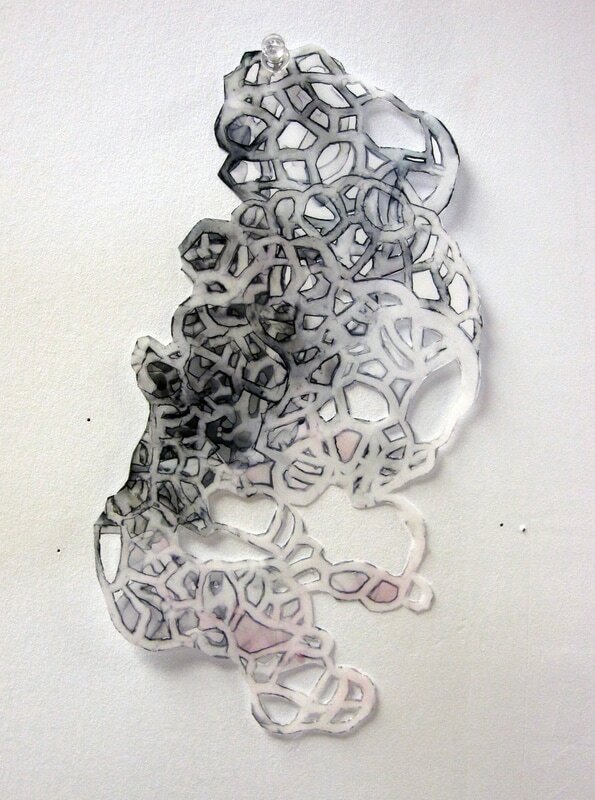 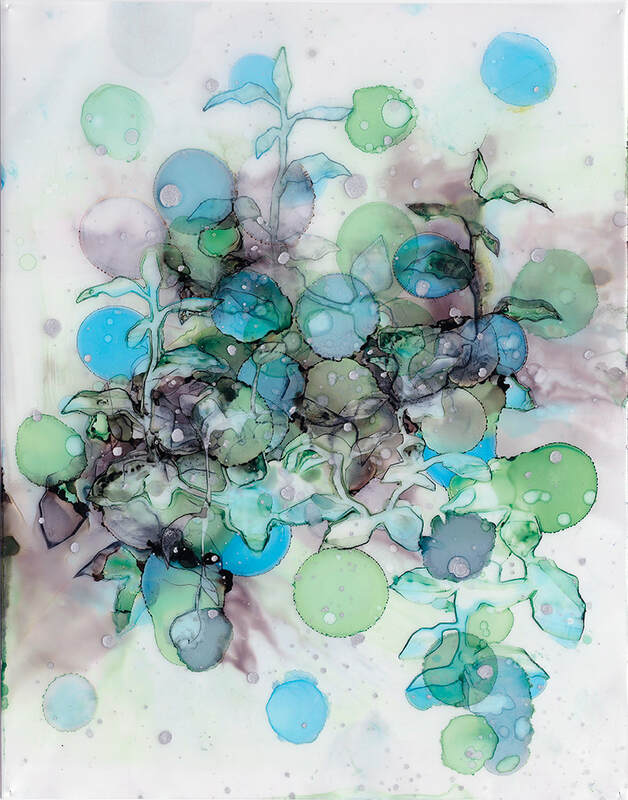 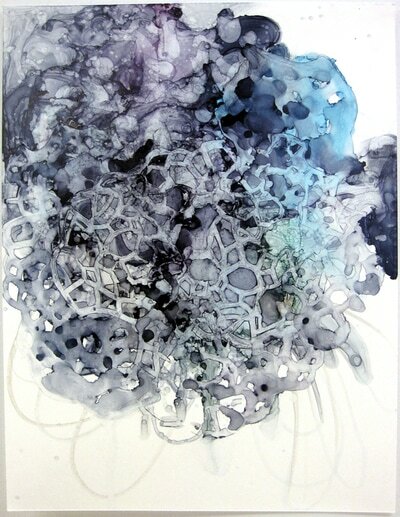 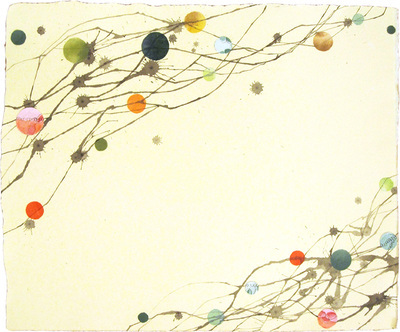 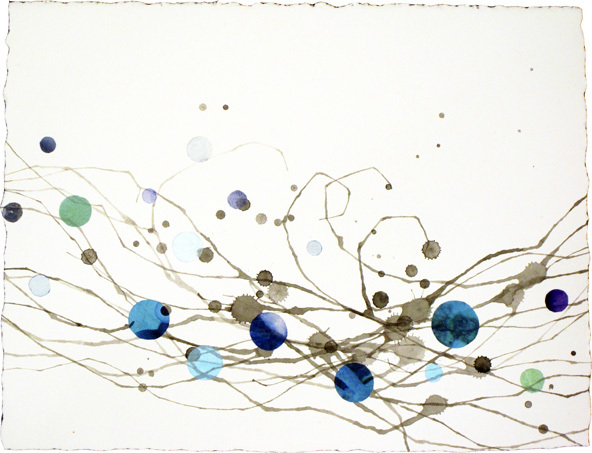 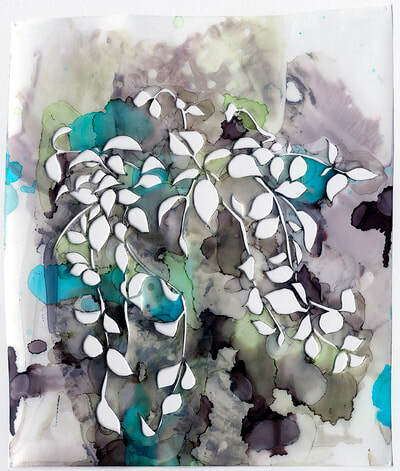 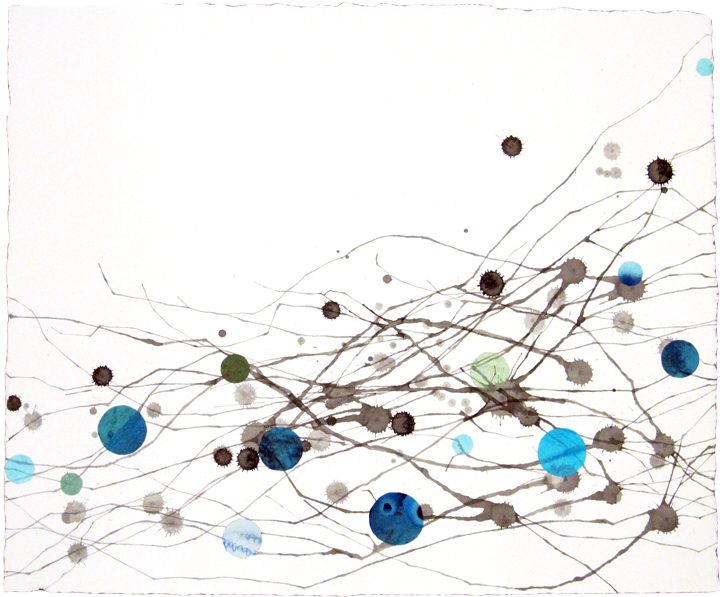 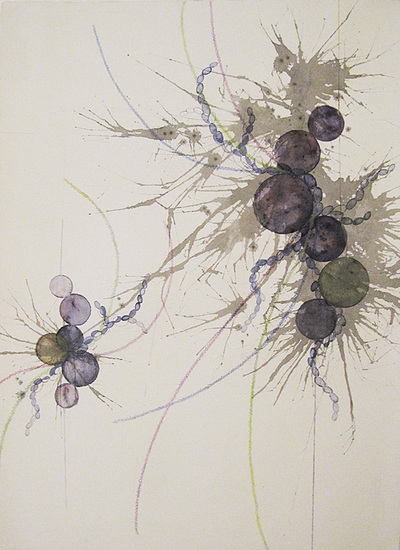 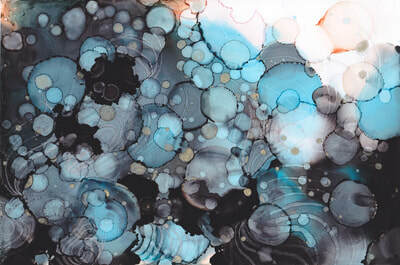 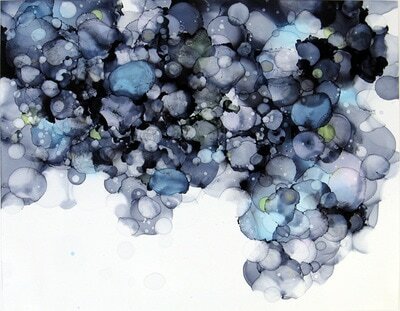 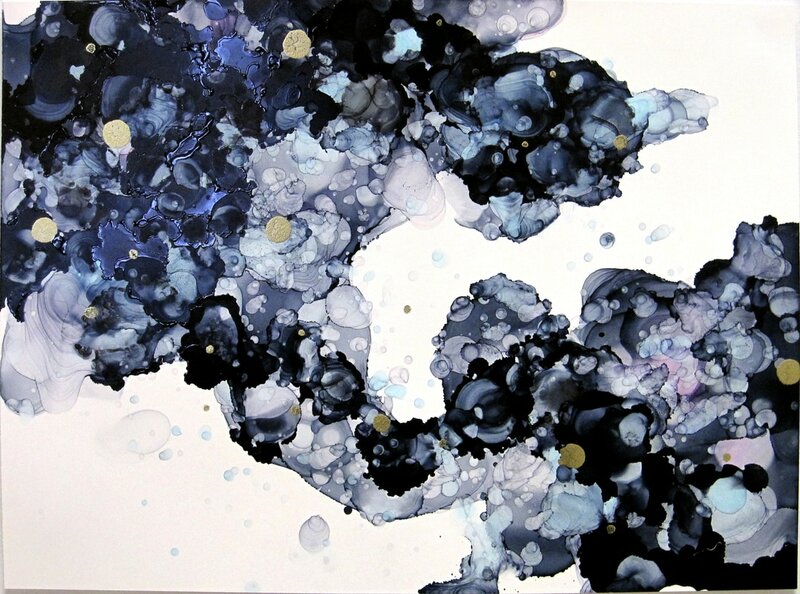 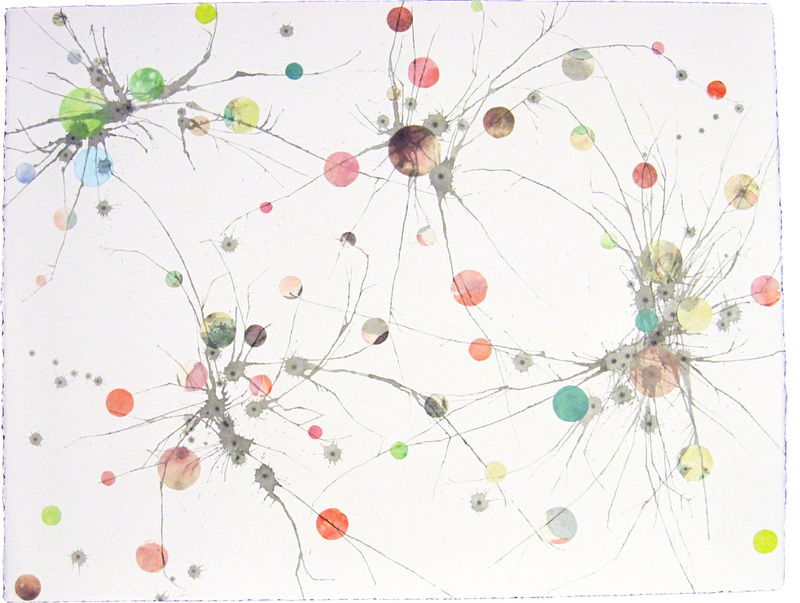 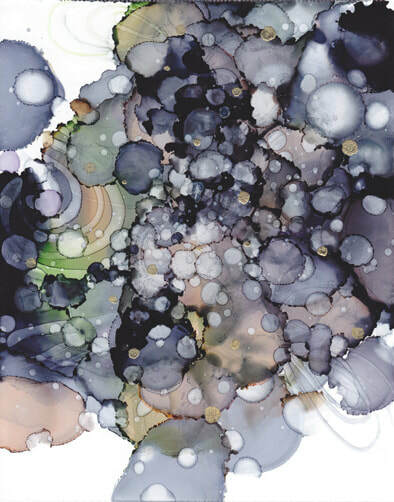 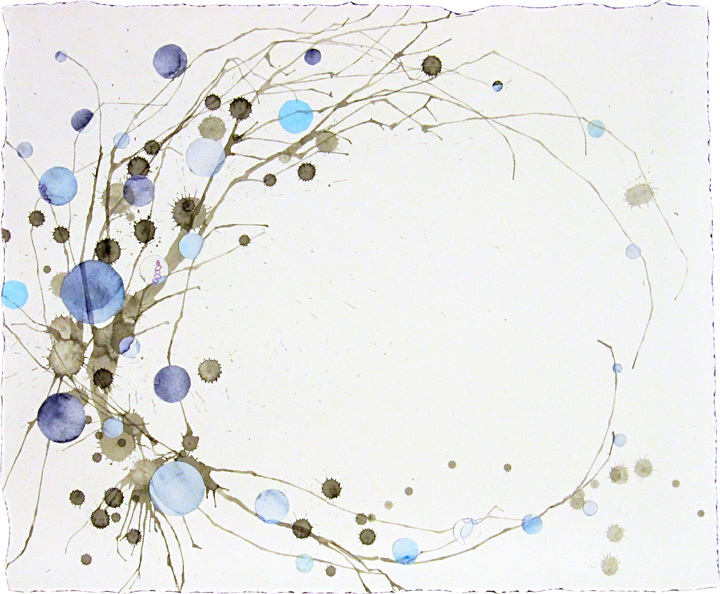 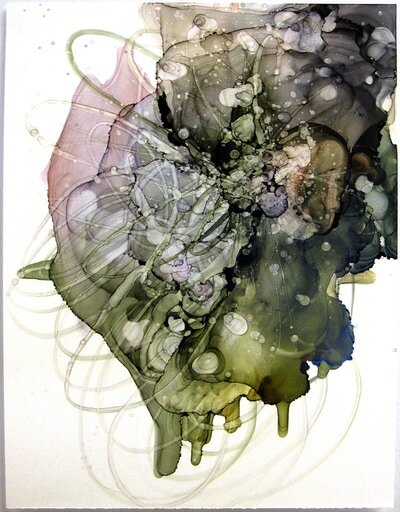 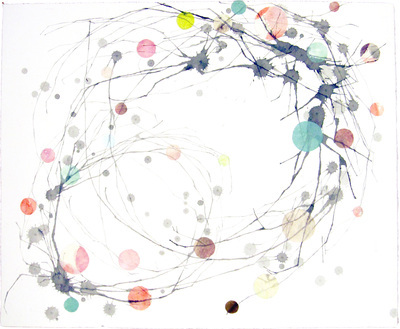 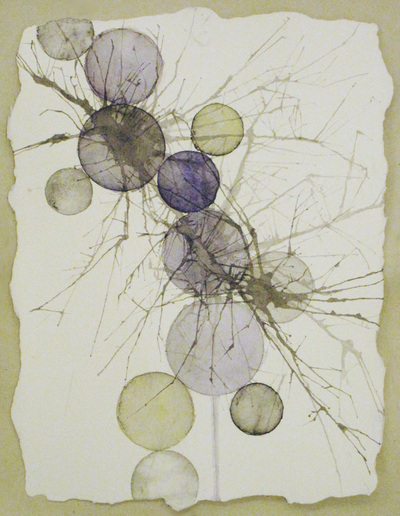 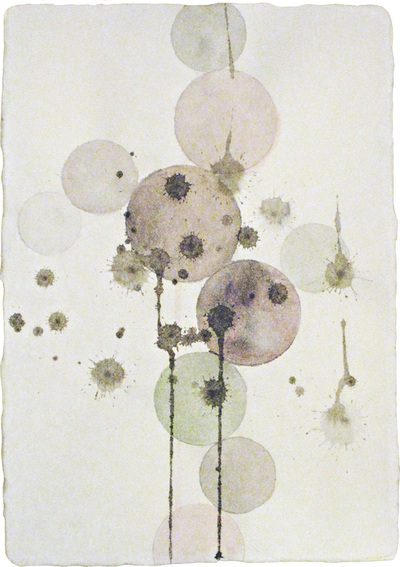 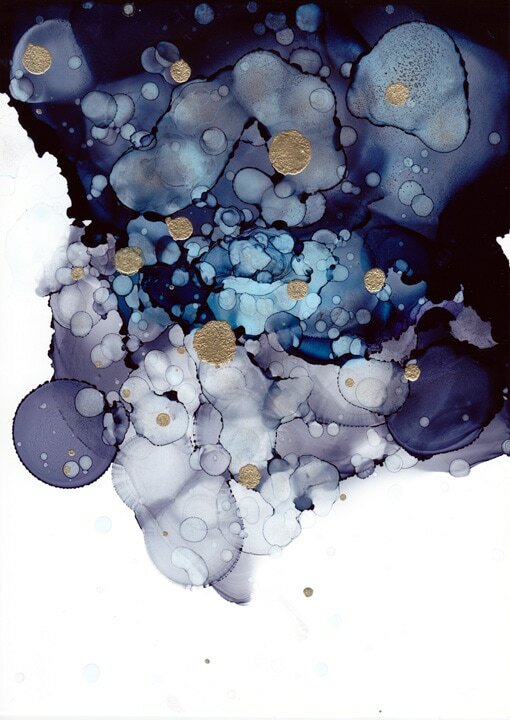 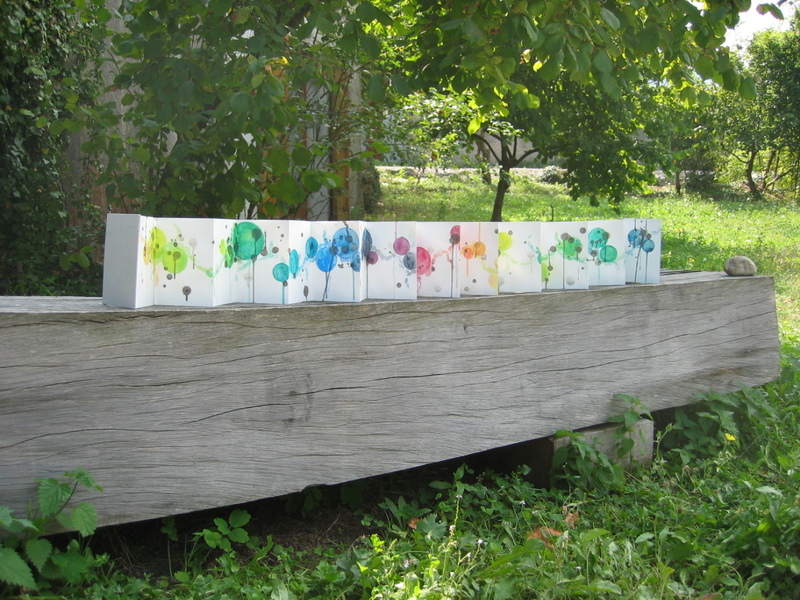 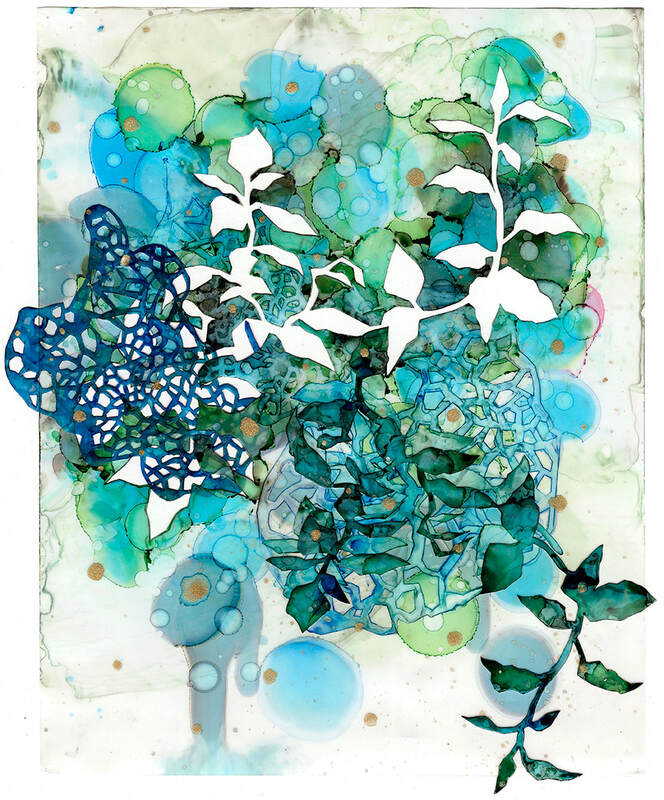 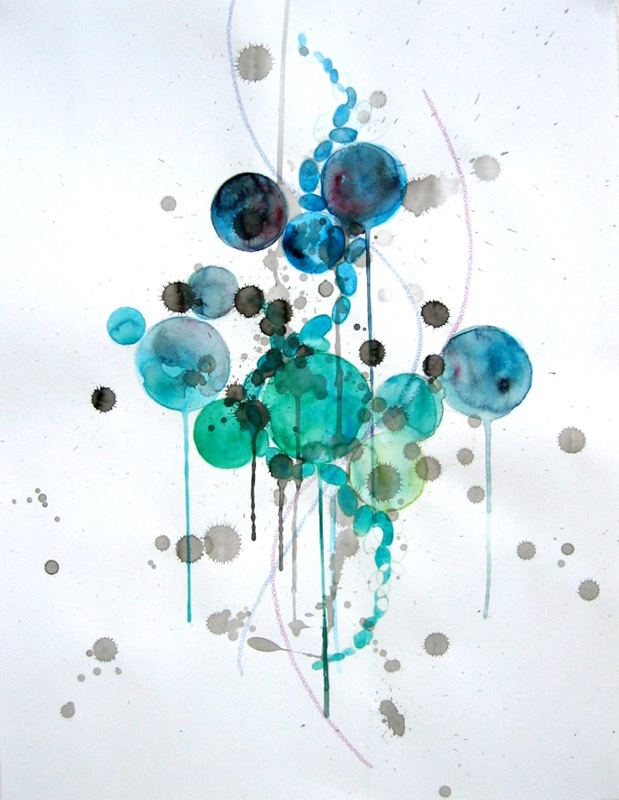 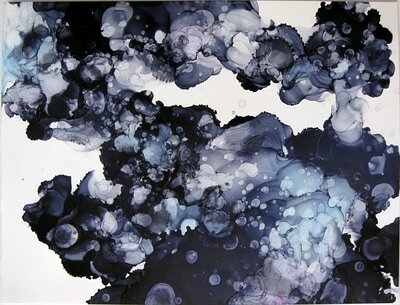 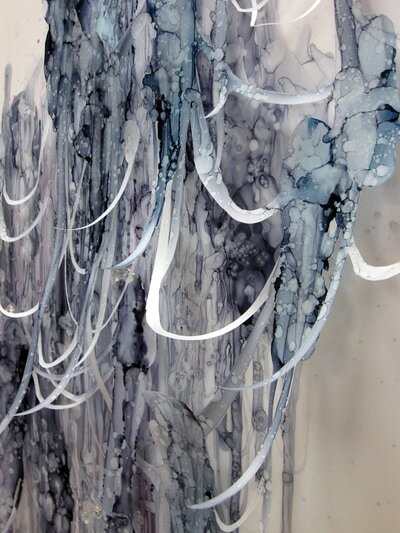 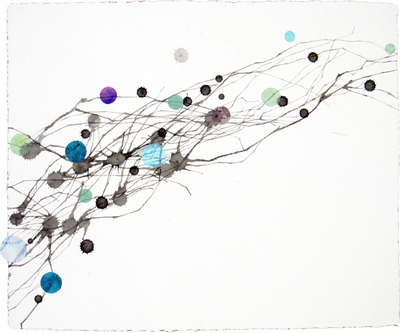 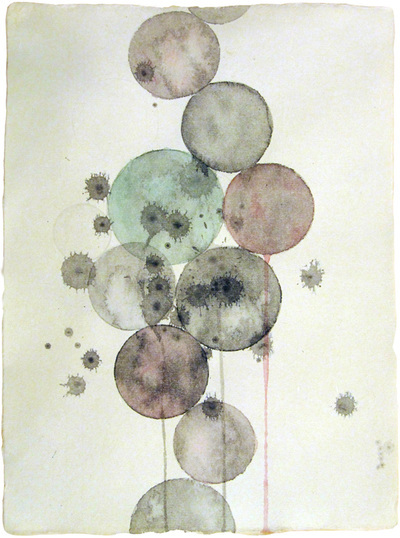 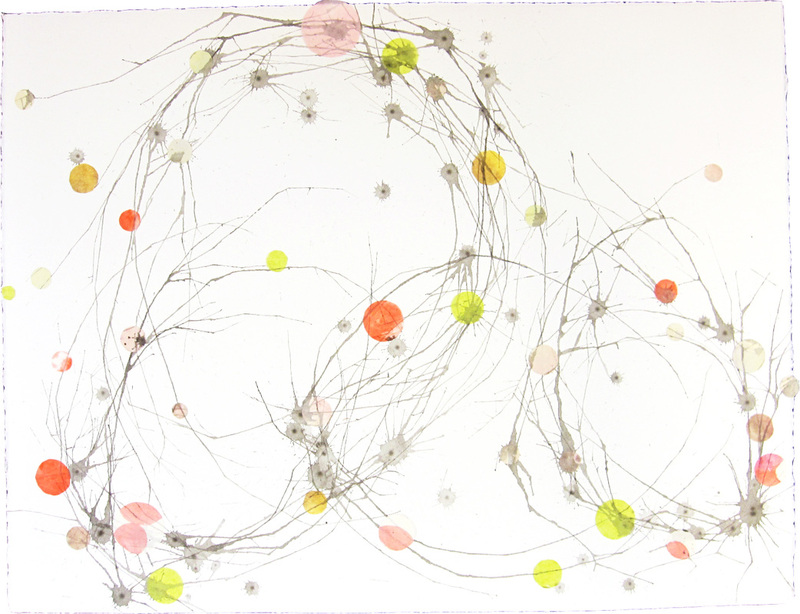 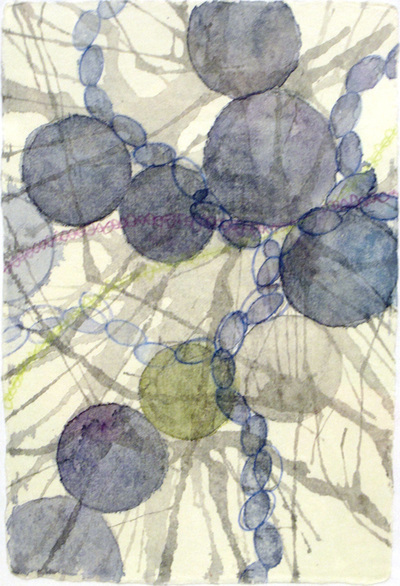 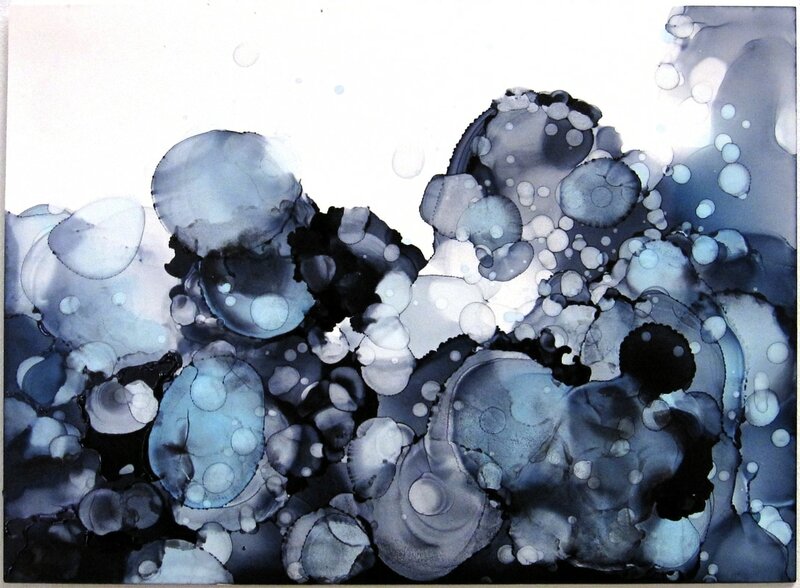 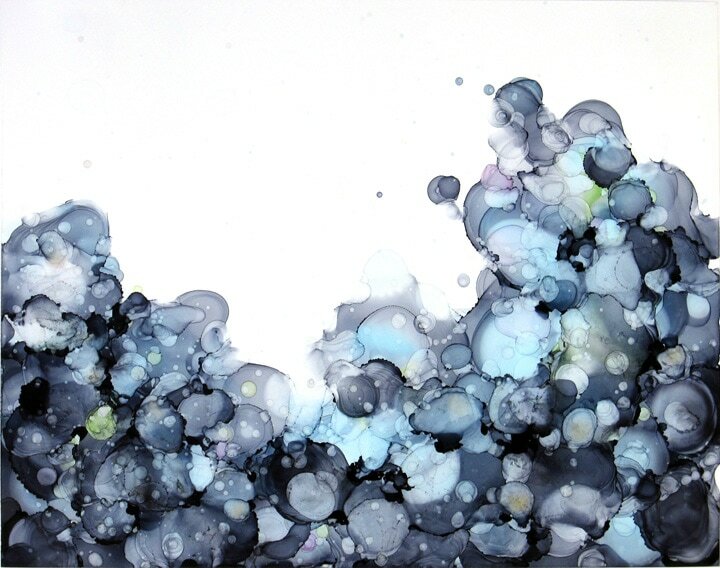 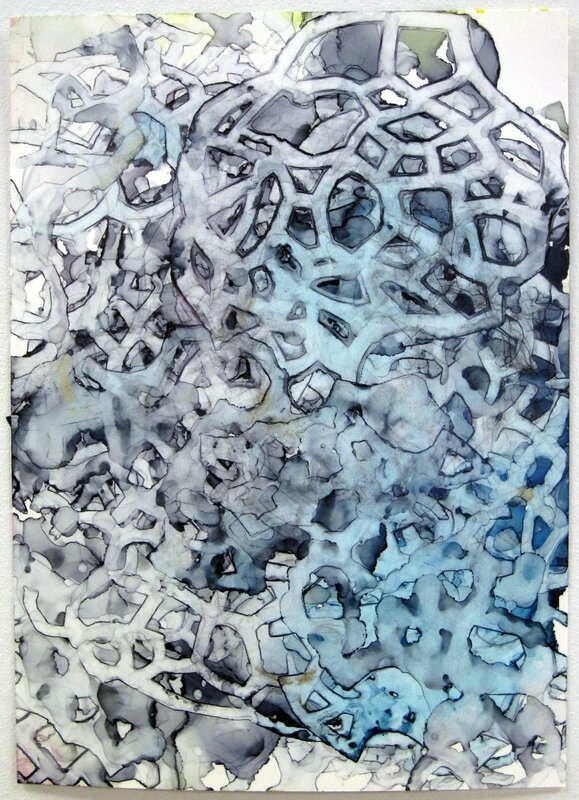 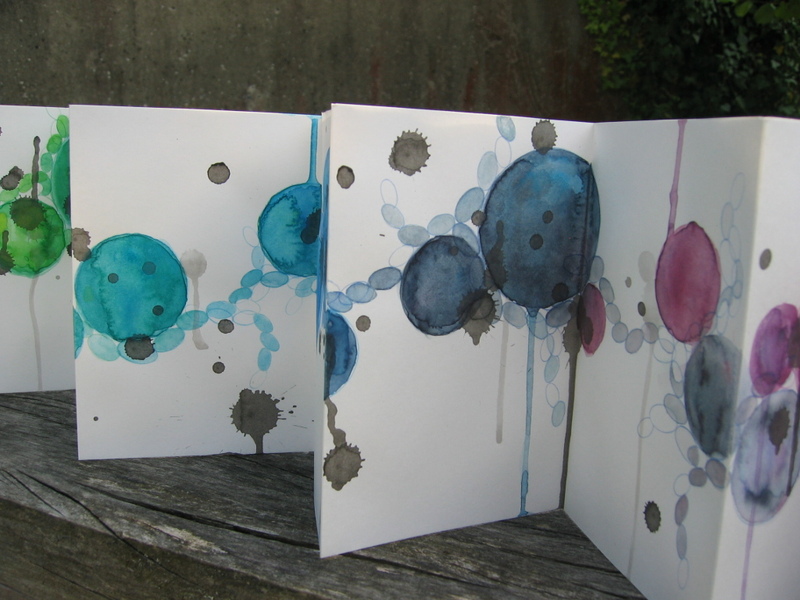 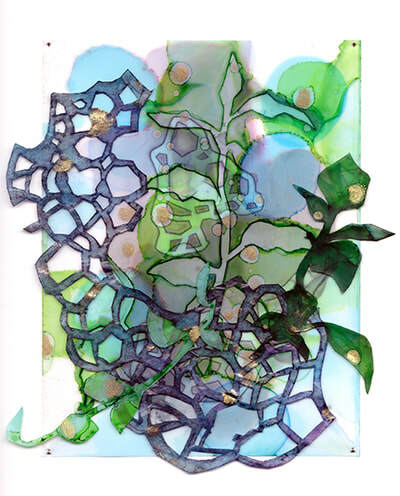 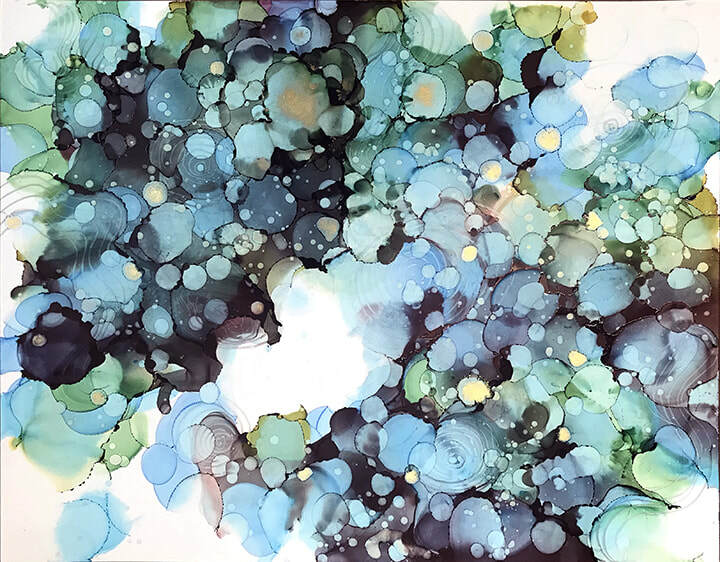 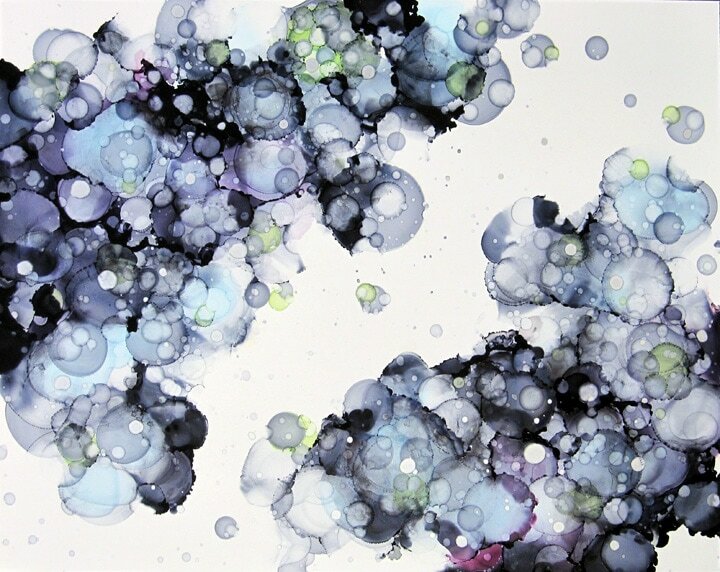 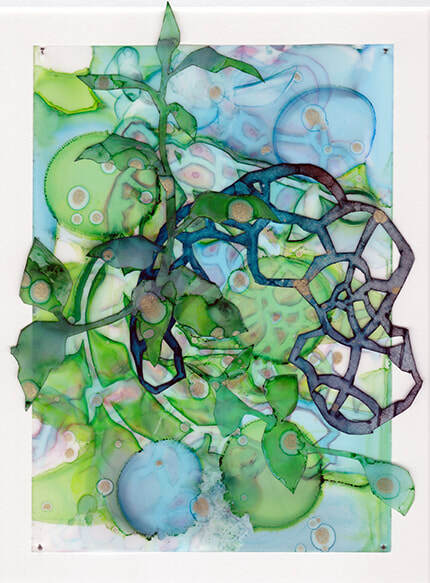 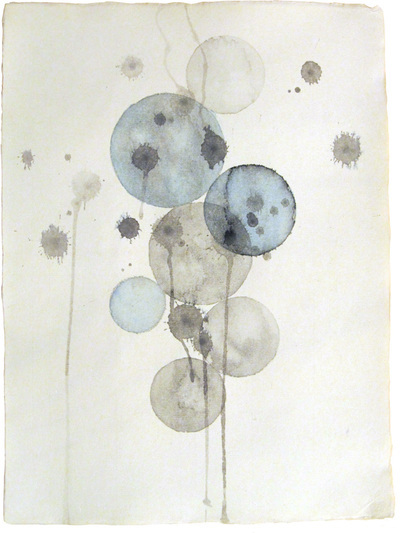 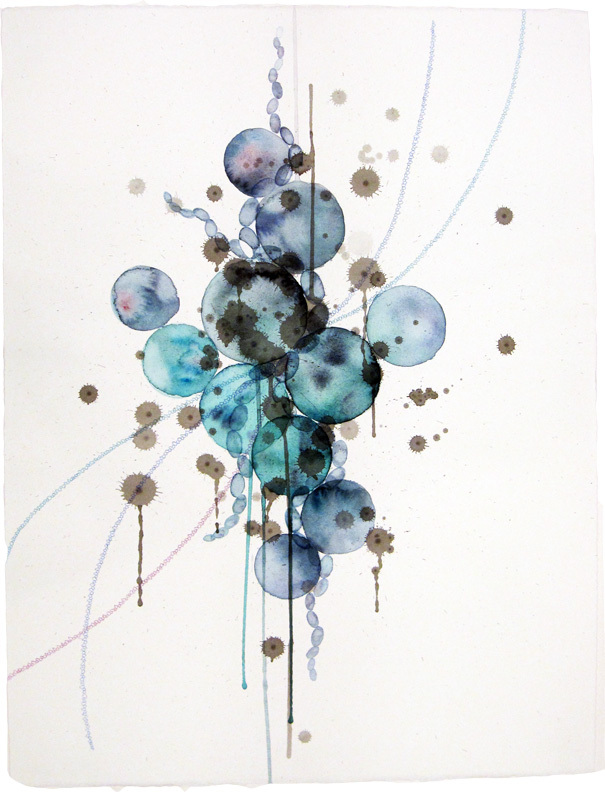 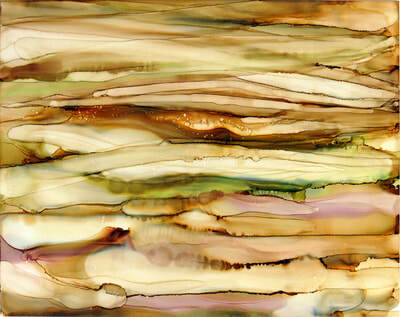 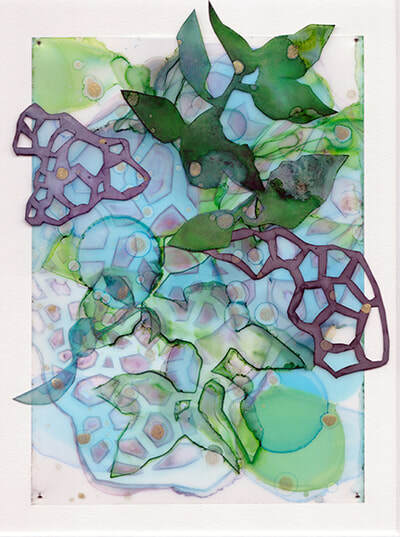 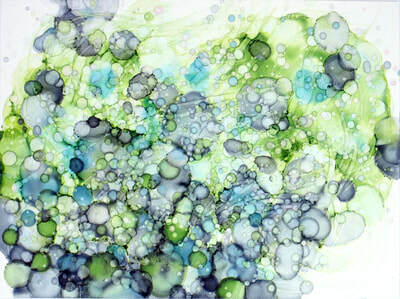 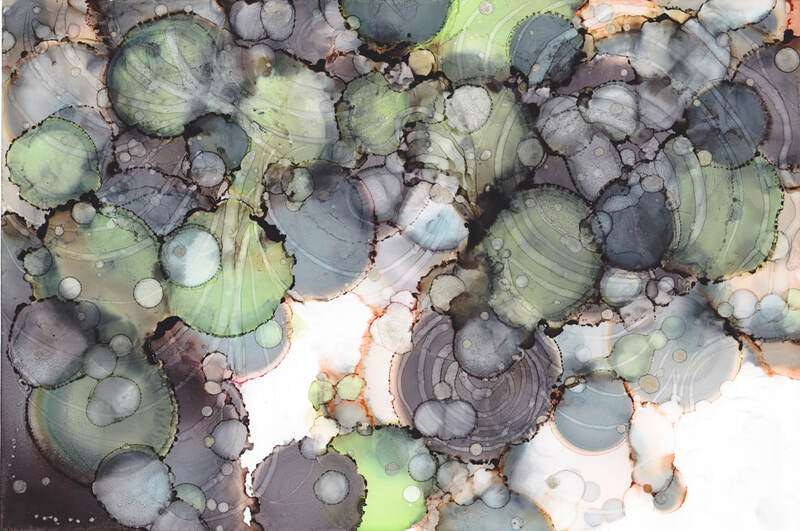 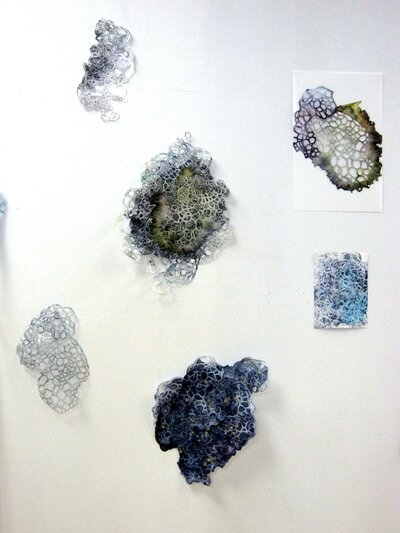 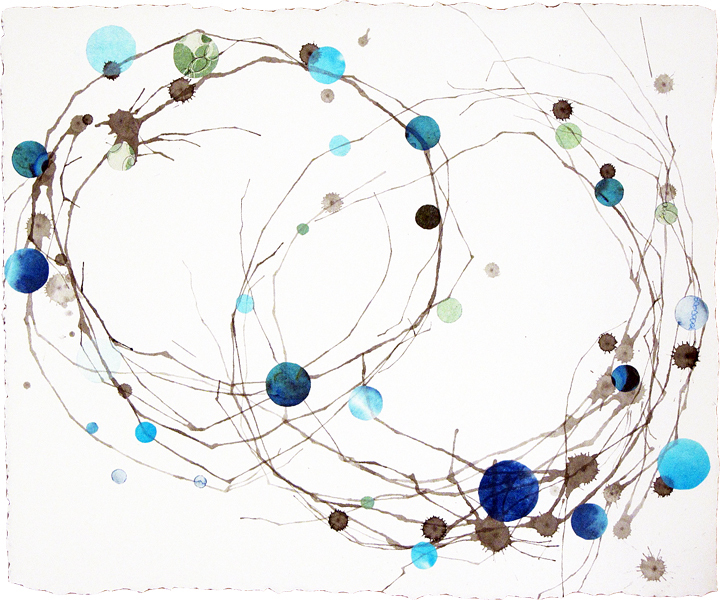 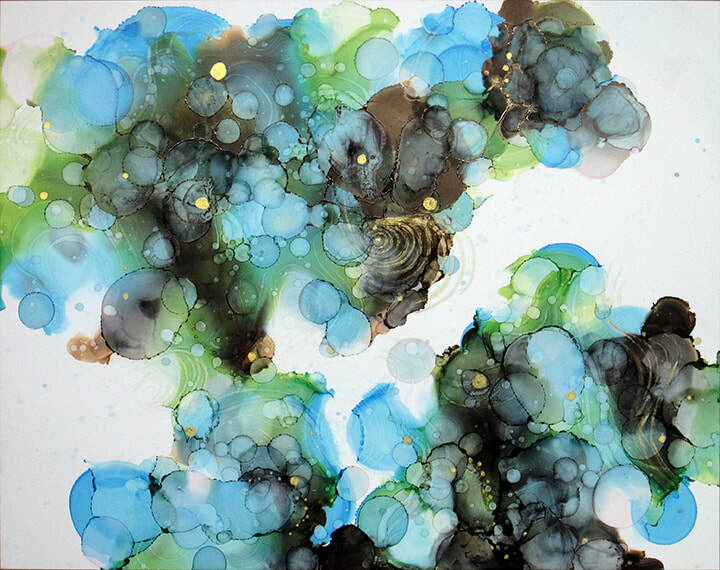 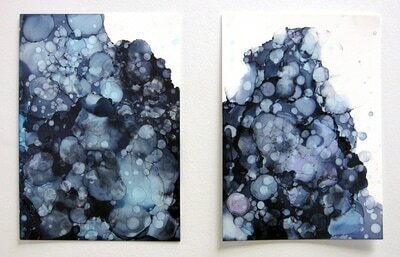 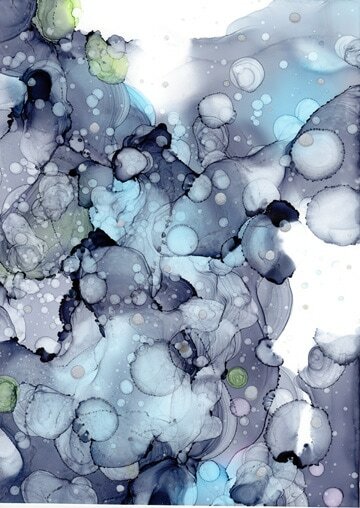 These works are painted with alcohol ink on Yupo paper and synthetic velum, and some are cut-outs and collages. The work on paper is painted with Japanese pigment and traditional Japanese writing ink called Sumi ink, as well as collage using my left over paintings, photos, and painted and dyed papers. 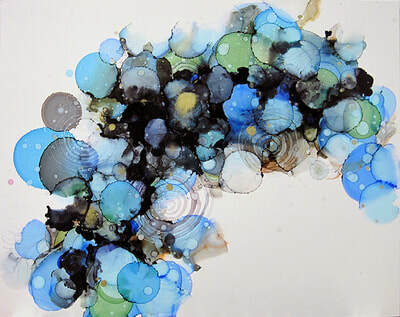 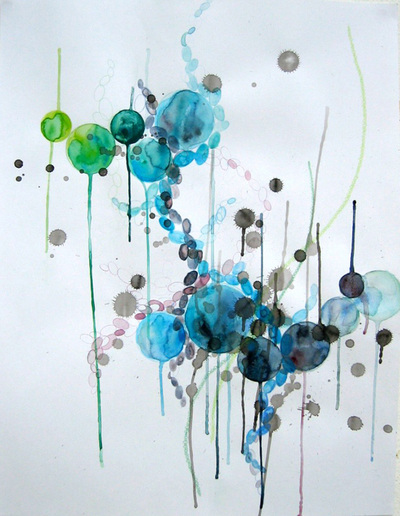 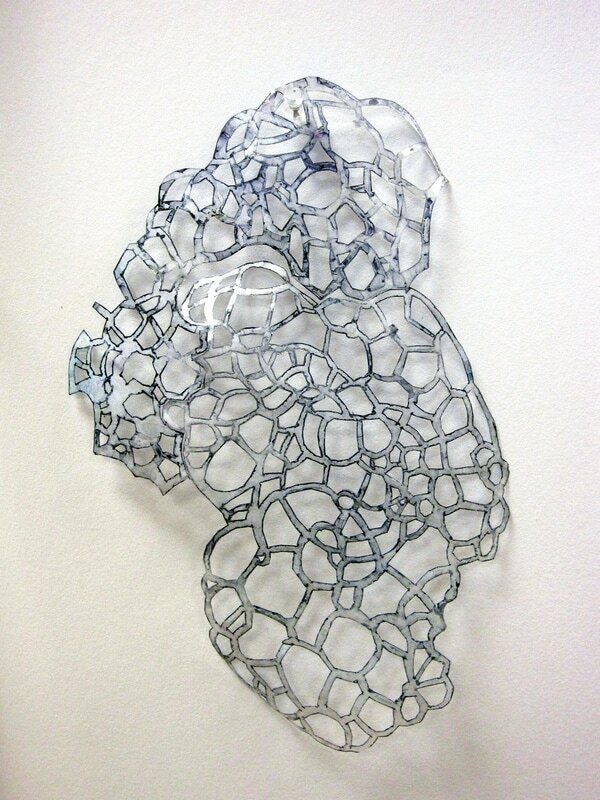 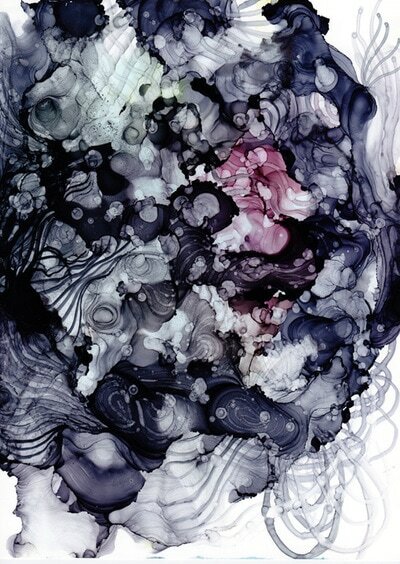 By dropping and blowing the ink very carefully, I create the expressive beauty of life full of accidents and chances.